Which pony car is the top dog for 2018? Ever since the mid-1960s when Ford released the bombshell Mustang, the Big Three have been battling for dominance in the pony car segment. While the number of options have steadily decreased over the years as several American brands-such as Pontiac, Plymouth, and Mercury-have fallen by the wayside, the battle rages fiercely on. 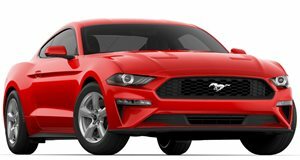 The start of the new year brings the year-end sales reports for 2018, and with them, the official ranking of the three remaining pony cars-the Chevy Camaro, Ford Mustang, and Dodge Challenger. For 2018, the top step of the podium is occupied by the car that created the segment, the perennial Ford Mustang. Boosted by that brought sharper graphics to the front fascia as well as the hype surrounding the slick Bullitt edition, Ford sold 75,842 Mustangs this year. However, despite claiming the top spot the Mustang still saw a decrease of 7.4 percent compared to 2017. Perhaps the and its subsequent role as the Mustang’s halo car will help the original pony car sell stronger in 2019. Despite riding on a platform that is over a decade old and a remnant of the failed Daimler-Chrysler merger, the Challenger managed to comfortably secure second place in 2018’s muscle car sales race. Dodge sold 66,716 Challengers, a slight gain of 3 percent compared to 2017. While it is not a huge increase, its nonetheless impressive for an ancient and heavy sports car, and it was the only one of the three to post an increase in 2018. 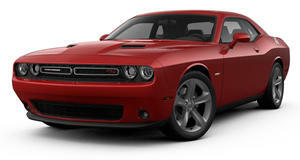 The Challenger’s success can likely be attributed to Dodge’s constant, albeit minor, updates, as well as the introduction of the range-topping, fire-breathing . Sulking down in last place is the Chevy Camaro. General Motors’ muscle car suffered a tragic year, with that faced harsh criticism from the automotive community hurting rather than helping sales. The Camaro lagged behind its two competitors, selling a mere 50,963 units. Even worse is the fact that this is a 25 percent decrease compared to the previous year. A slightly revised emergency facelift seems to be on its way, but will it be enough to turn around the Camaro’s fortunes in 2019? Only time will tell.